In the thrilling follow-up to the ITW Thriller Award Finalist (Jack and Joe), FBI Special Agents Kim Otto and Carlos Gaspar will wait no longer. They head to Houston to find Susan Duffy, one of Jack Reacher’s known associates, determined to get answers. But Duffy’s left town, headed for trouble. Otto and Gaspar are right behind her, and powerful enemies with their backs against the wall will have everything to lose. "Diane writes like the maestro of the jigsaw puzzle. Sit back in your favorite easy chair, pour a glass of crisp white wine, and enter her devilishly clever world." "Expertise shines on every page." The well written characters draw you deeper into the story and makes it hard to put down. It's a fast paced tale that keeps you guessing as you try and figure out what will happens next. I found it very enjoyable and I'm looking forward to more adventures of Special Agents Kim Otto and Carlos Gaspar. Moved slow at times. Unfortunately this series had become very predictable and characters really aren't developing. The books are coming out to long after the correlating Reacher books so it's hard to really put it all together. 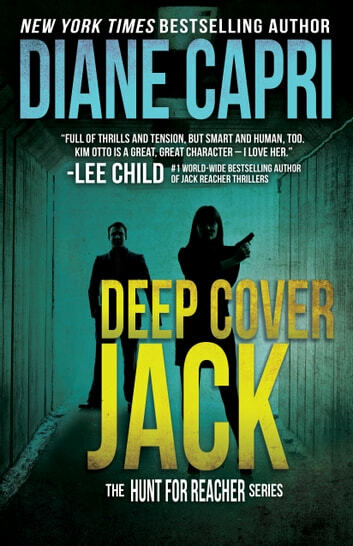 Special FBI Agents Kim Otto and her partner, Carlos Gaspar are still on the trail of Jack Reacher. They are sent to Houston, Texas to find ATF Agent, Susan Duffy. Susan is a known associate of Reacher and they want to interview her to hopefully get answers. But it seems Susan’s whereabouts is unknown. While searching Susan’s apartment, the agents run into a former partner of hers. Hearing a recording on the answering machine of a woman in distressing, they determine Susan headed to a place on named Abbey Cape outside of Portland, Maine. Off they go!! Now the intriguing adventure begins….There is plenty of suspense, thrills and chills with unexpected twists. The tension was thick and well-sustained with a colorful array of interesting characters. This is the seventh book in The Hunt for Reacher Series but can be read as a stand alone. Enjoyable, exciting read!! Thank you to the author for this eBook. My opinion is my own. Dear Diane, What a most absorbing story. Once again you have captured the'Jack Reacher' flavour but in your own typical style. Gradually getting through each of your other titles. 'Caffeinate and Carry On!! Kim Otto and Carlos Gasper are back! 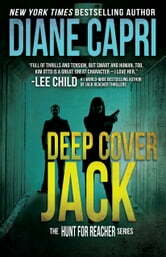 They are now sent to Houston to interview Susan Duffy, known to be an associate of Jack Reacher. Upon reaching Houston, they are surprised that Duffy is nowhere to be found and begin to follow her trail. With clues leading them to Maine, they are determined to find her to get information about Reacher. In their quest to find her, they become embroiled in another case. As in previous books in this series there is an interesting cast of characters and many plot twists. Another excellent book from a wonderful author!